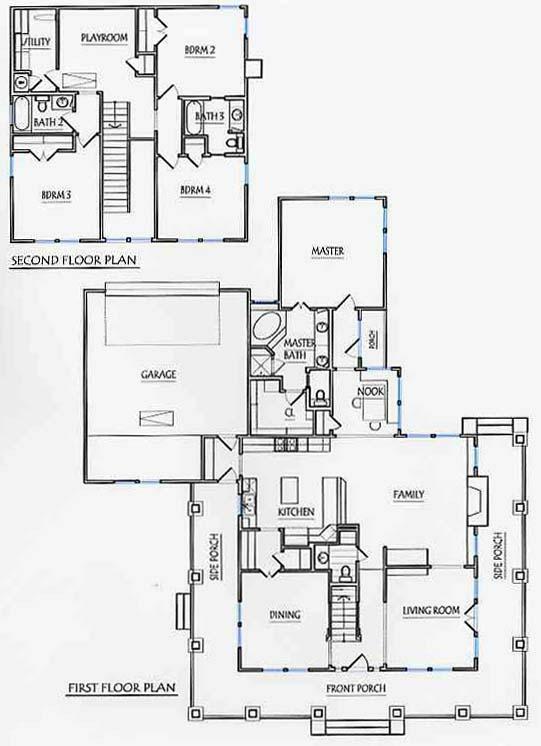 Prairie Style - 2651 square foot air conditioning, 2- story, 4 bedrooms, 3 1/2 bath, master bedroom down, study / formal living, breakfast area with built-in bench, open kitchen with island, butler's pantry, family room with fireplace. 2-car garage and mud room, big wrap-around covered porch. 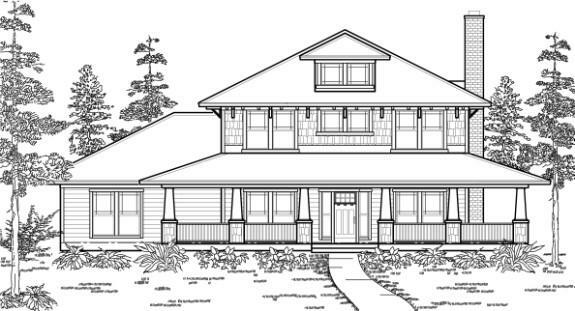 The elevation is designed as a true Prairie style with large overhangs, 6:12 pitch roof, Hardie Board siding and tapered columns on a brick base.